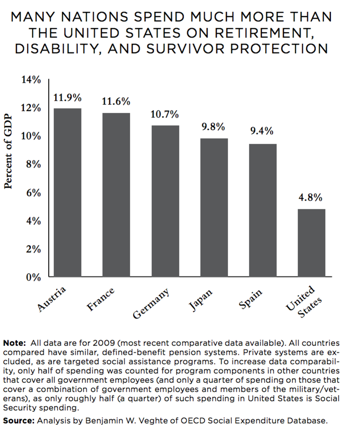 Not so long ago, Social Security was endangered by a "bipartisan" consensus that sought to cut its benefits -- already lower than those of comparable countries -- as part of a "grand bargain." President Obama even put a slow-motion benefit cut into one of his proposed budgets, in the form of a reduction in cost-of-living increases. And nobody talked much about raising taxes on the rich. That, they said, was "politically impossible." Things have changed dramatically. The Democratic president, virtually all of his party's senators, and both its presidential candidates now say they want to expand benefits. An idea that was widely dismissed when it was proposed by Bernie Sanders is now the Democratic position. The "bipartisan" anti-Social Security army seems to be in ragged retreat, its campfires dying and its tents torn down. The president's declaration is a major win for the left, as Nancy J. Altman and The Huffington Post political team explain. But the counterattack has begun. It's true that the anti-Social Security contingent seemed to be struggling last month at its annual convocation, the austerity-pushing "Fiscal Summit" funded by right-wing hedge fund billionaire Pete Peterson. Peterson's been financing this movement for decades, aiding friendly politicians in both parties and backing a variety of messaging vehicles designed to disparage government's role in the social contract. This year's event wasn't the same. Sure, some politicians showed up. But a melancholy torpor seemed to hang in the air. It didn't get much coverage (Clinton's absence undoubtedly hurt). Three or four bored reporters munched on sandwiches in the press room while being barraged by rock music like they were Manuel Noriega under siege, except that the song choices were relentlessly upbeat -- "Beautiful Day" by U2, "Gimme Some Lovin" by the Spencer Davis Group, "Eye of the Tiger" by whoever sang that, "I'd Love to Change the World" by Ten Years After. 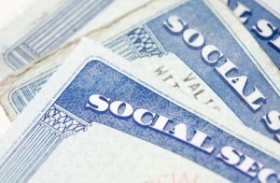 But Social Security's adversaries are still out there. Republicans still embrace the economic austerity that has wounded Europe and hamstrung our own recovery. Democrats at the Summit kowtowed to their hosts' fiscal fixations. And the media personalities in attendance (were they paid?) offered chipper testimonials -- pitches, really -- for deficit reduction. "To paraphrase Mark Twain," said Bloomberg's Mark Halperin, "everybody talks about the deficit but nobody does anything about it." "You're somebody who's trying to do something about the debt and not just talk about it," CNN's Dana Bash said to Sen. Joe Manchin (D-W.Va.) before praising the "Simpson-Bowles" deficit reduction plan -- an impractical, unpopular and ultimately failed austerity proposal from former Sen. Alan Simpson and Clinton administration official Erskine Bowles -- as a "solution." CNBC's John Harwood recounted a "depressing" lunch with a former aide to Sen. Mitch McConnell he approvingly quoted as saying, "We can't (fix) Social Security" -- presumably a euphemism for "cut" -- until "the baby boomers retire and the crisis is upon us." All of this fiscal folklore has been heavily promoted by Peterson-backed outfits.